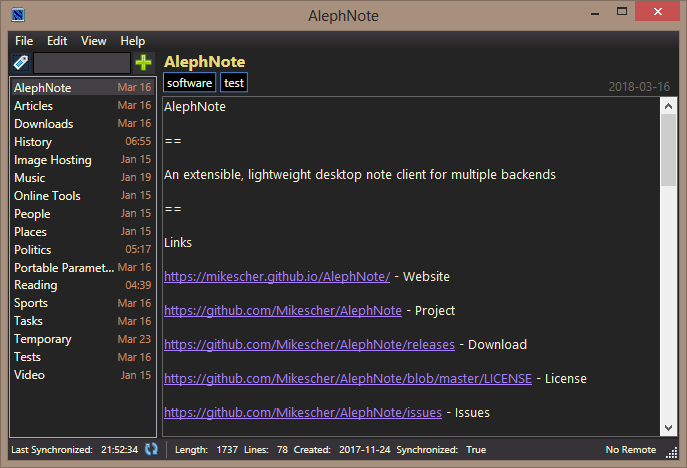 AlephNote is extensible, lightweight desktop note manager. Features include search, interactive checkbox lists highlighting, clickable highlighted links, notes backup, drag-and-drop capability for files and text, and sorting notes into folders. The program supports tags, in-editor markdown rendering, customizable shortcuts, stay-on-top capability, tray control, themes and more. Notes can be saved locally or synchronized with cloud services including Simplenote, Standard Note, Nextcloud/ownCloud. How to extract: Download the ZIP package and extract to a folder of your choice. Launch AlephNote.exe. "This sounds like windows marked the dll files as untrusted. Try going to the properties dialog of each file (right-click -> properties) and clicking the unblock button." Someone else on the forum said that using 7-Zip to extract the ZIP worked for them. My notetaker program of choice for about 6 months now and just keeps getting better. 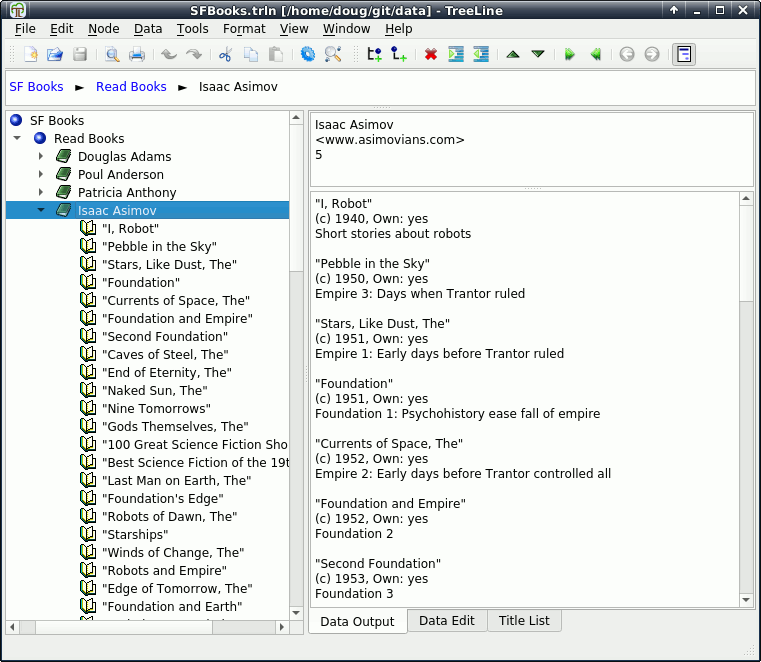 TreeLine is a unique cross between an outliner and a database. It stores information in a tree structure, but each node in the tree functions like a mini database with its own data types and field formats. It supports a wide variety of import/export options, one of the most useful being for Mozilla-type bookmarks. Note: This program is not a typical tree-based outliner and requires some effort to read and digest in order to grasp the the program's data model and associated concepts. See the How to Use section of the website. Treeline development is ongoing -- latest "development release" is v1.9.4, touted as a major rewrite of this unique program (changelog at http://treeline.bellz.org/). WARNING: "There are some file format changes between TreeLine 1.4.x and this version. Older files opened in this version are automatically converted when saved. Files saved in this version may not be fully compatible with TreeLine 1.4.x." 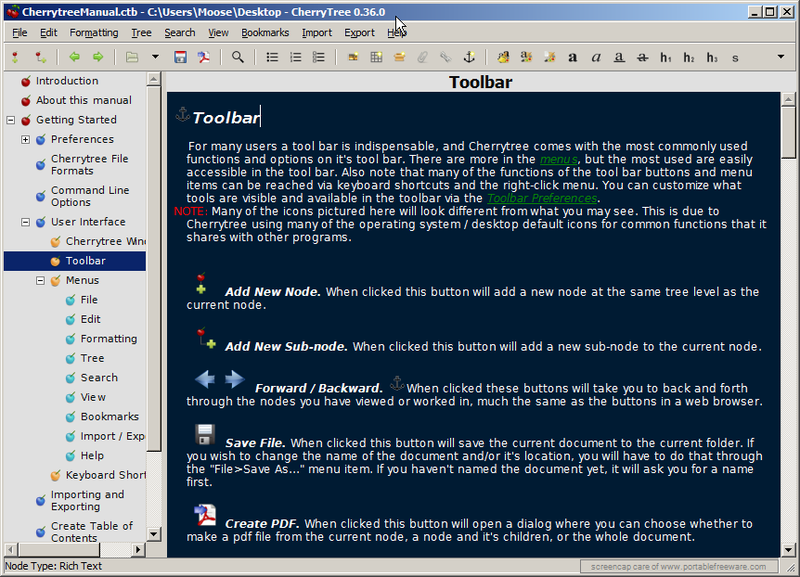 CherryTree is an hierarchical note-taking application. It features rich-text formatting, syntax highlighting, spell-checking, image insertion and password protection. Data is stored in a single XML or SQLite file. Import from plaintext, HTML or your favorite note-taker, including Zim, Treepad, Keynote, Mempad and RedNotebook. Export to PDF, HTML or plaintext files. Cross platform with versions available for Linux. CherryTree Portable is a portable wrapper for CherryTree. CherryTree produces great formatted HTML export. It's fully customisable after-the-fact, with the included styles.css. Embedded files, images and the HTML files are stored separately from each other. MemPad is a text editor that lets you add, edit, and arrange your notes in a hierarchical, tree-based view. It supports text search, word-wrap mode, read-only mode, auto-save, notebook encryption, automatic backup, search-and-replace, a diary mode etc. How to extract: Download the ZIP package and extract to a folder of your choice. Launch Mempad.exe. Larger tool bar buttons (24 pix). @hamasaki, To save notes to DropBox , use the Export function, and Export to your Dropbox location. @Cornflower, I`ve tried that but when you save in MemPad it doesn`t update the dropbox file, you have to export it again. No good. 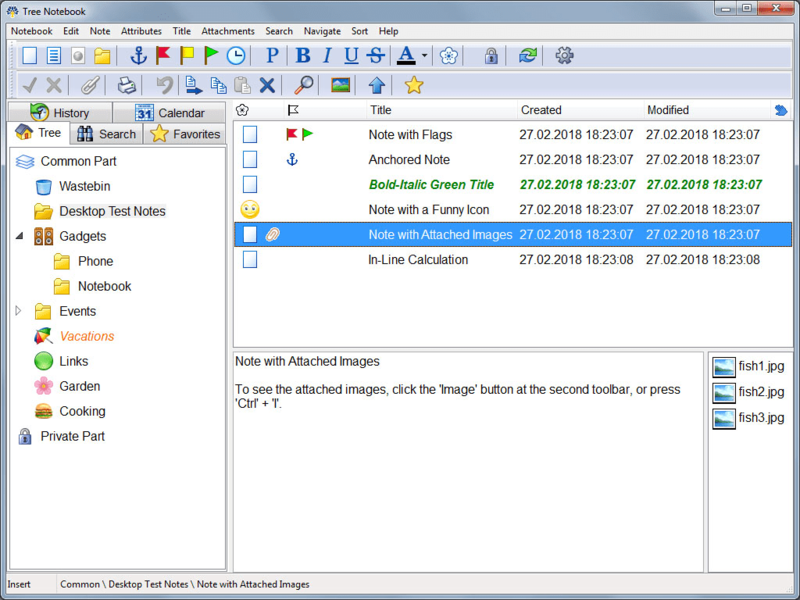 Tree Notebook is a hierarchical notes manager designed for keeping personal information in a tree-like structure of notes and folders, and any folder can contain more notes and sub-folders. Any item can include text of any size and can keep attachments like images or other files. The program consists of a public and an encrypted area that requires a password. Data can be imported from from OneNote and Evernote and exported to Evernote and simple RTF formats. How to extract: Download the "Portable Version" ZIP package and extract to a folder of your choice. Launch tnote.exe.